Most people don’t have the ability to predict when they will become sick, and when non-life-threatening illnesses or injuries strike, it can be hard to find treatment that works with your schedule. 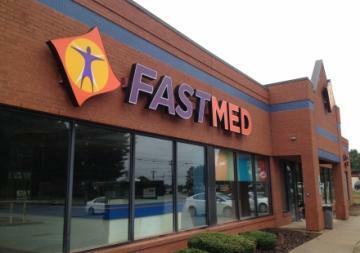 FastMed is open in your neighborhood to provide you with care 365 days a year. We have two convenient walk-in clinics located in Charlotte, NC. Our medical professionals are here 365 days a year. We are open from 8:00 am to 8:00 pm on the weekdays, and 8:00 am to 4:00 pm on the weekends. In order to provide the best care possible, our Medical Assistants are bilingual and happy to provide care to our Spanish speaking patients. This location is also open 365 days a year from 8:00 am to 8:00 pm on the weekdays, and 8:00 am to 4:00 pm on the weekends. Our Medical Assistants also speak Spanish in order to provide the best care possible to our Spanish speaking patients. You don’t have to be able to predict the future to receive medical care when you need it. FastMed Urgent Care’s cutting-edge walk-in clinics have on-site labs and EKG equipment so we can get your test results to you as soon as possible. We aim to have you in and out within an hour. You can also save time by checking in online. Online check in is not an appointment, but could shorten your wait time depending on the patient volume and medical conditions being treated at the clinic.